I love love LOOOOOVE Halloween. It's probably my favorite....yeah...definitely my favorite holiday of the year. This may have been something I got from my dad. He loved Halloween, too. I remember one year I was dressed as Elvira (what girl has never dressed up like her?) giving out candies to trick-or-treaters. He was just standing by the door looking off. He had no shirt on and had fake blood all over him. The trick-or-treaters were young but a few of the girls were my age. They were getting there candy but at the same time keeping an eye on my dad. Then...he jumped and boo'd. LMFAO (＾ᗨ＾✿) One of the older girls dropped her bag and just ran away. It was HILARIOUS! The other kids were dying and made fun of her as they left. 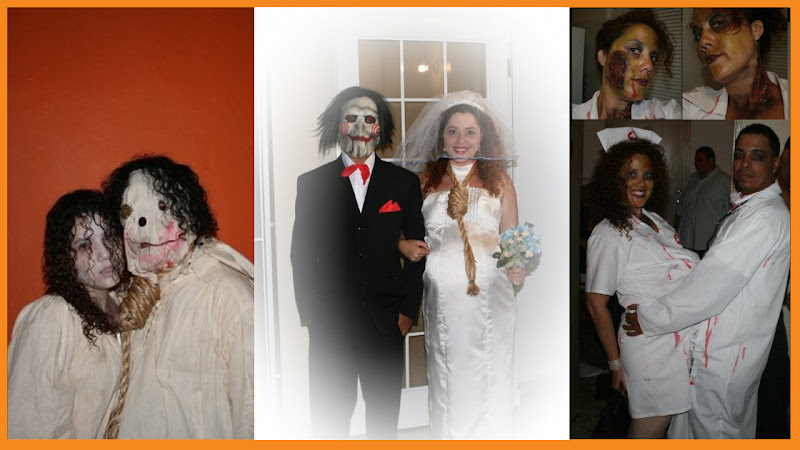 After moving to Puerto Rico, I didn't celebrate Halloween for a while. Maybe because he was no longer with us or maybe because I didn't want to be here. (Maybe a combination of both?) I started celebrating again after being invited to a Halloween party thrown by one of supervisors at work. I remember being asked what I planned to go as. I always answered that I was going as Eve (meaning naked) because I didn't have a costume. (＾ᗨ＾✿) Truth is, I wasn't sure if I would go because I couldn't seem to get into the Halloween mood and if I DID decide to go, I had no clue what I was going as. The day before the party I decided to go and started to pump myself up. I had to work that day (another job) and had no time to buy a costume. That night I decided to DIY my costume. That was the first time I did so, and I think I have every time I've celebrated since. I really wish I had a photo. It meant something to me because it was me starting Halloween again. Something I enjoyed so much when I was younger. The year after that, I fashioned out a cavewoman costume from some faux fur fabric and leather cording I bought (Lana was my inspiration). The following one I was "Queen from the Dark Planet..." I forgot the name I made up. For that costume I attached a metal hoop to a hooded cape I bought so that the hood part would stay up and open. Then I fashioned the rest out of a black gown costume I bought on clearance. I went through some personal stuff after that and stopped celebrating. Some time after I threw two Halloween parties in the apartment I lived in. I dressed up as an old lady the first time and as a mage of black magic the second time. I stopped again, I guess because I didn't "feel" like it was a celebration. Inside, I know why I felt that way. I also knew it had to stop. I didn't want other people or circumstances to stop my happy even if it was for one day. After speaking with my partner about why Halloween meant so much to me, he understood and started getting more and more into it as time passed. I went as Harley Quinn (sewn from a pattern with my own edits) one year (I don't remember what he went as). Then we've been La Llorona and Tomás (both sewn from a pattern, the mask we made up on our own from leftover fabric and buttons I had), Jigsaw and his pregnant deceased bride (red scrap fabric, the bride dress is a dress I made in fashion school, and the veil and bouquet I made with stuff from home), and Dr. Zombie Shots and his pregnant zombie nurse (these were regular doctor and nurse costumes we found on clearance and the scars were toiler paper, glue, and paint). Then, we had our king. Although it was technically his first Halloween, he was so small we decided to not do anything but stay home. It was the first time I didn't celebrate Halloween but felt happy anyway. THEN, we got to celebrating again...and it's been great. Okay, it hasn't been for a long time but it has been so much fun. It's one of those times I REALLY wish my dad was here to celebrate with my king and I. 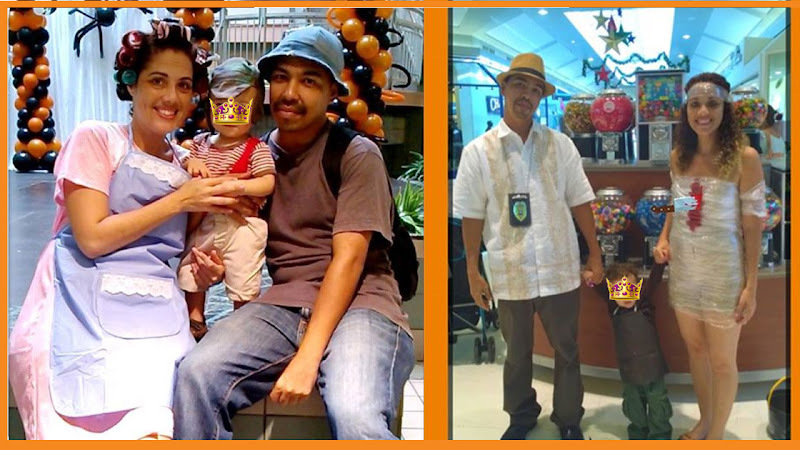 For our first costume, I wanted a family costume with that "something special". I completely loved the Ghostbusters and Popeye costumes (with the Stay Puft Marshmallow Man and Swee'Pea, respectively) but they were more than we could do. I kept looking for ideas but nothing really inspired me as much especially since I wanted something classic. Then it hit me. We'd go as characters from El Chavo del Ocho. (It was a great tv show from our childhood even though we were raised in different places). We bought the pajama, apron, onesie, and shorts at a department store. I made the suspenders and both hats out of old shorts and jeans and I had rollers at home (which I hardly EVER use, so I guess I own them for this reason). This year we dressed up for his birthday. We bought yellow t-shirts for ourselves, a black one for our king, and my partner bought his Minion hat. All three used our own pants (and skirt) and I made the bib part of the overalls out of old jeans we had. I DIY screenprinted Gru's logos and made Gru's scarf and my hat. We were going to do the same but mix it up for Halloween. 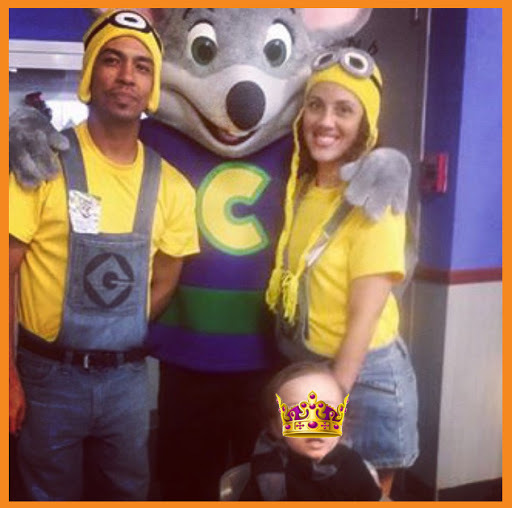 We were going to dress up our king as a Minion, my partner a purple Minion, and myself as Gru. After the birthday party, we didn't want to do it anymore and I got creatively blocked. I couldn't come up with something I like and that I could do in such a short time (which kept getting shorter). It was actually this past Monday that I finally settled on something. How will it look? I have no clue. But loving to craft as much as I do, this whole let-me-see-what-I-can-come-up-with is just as fun as dressing up. 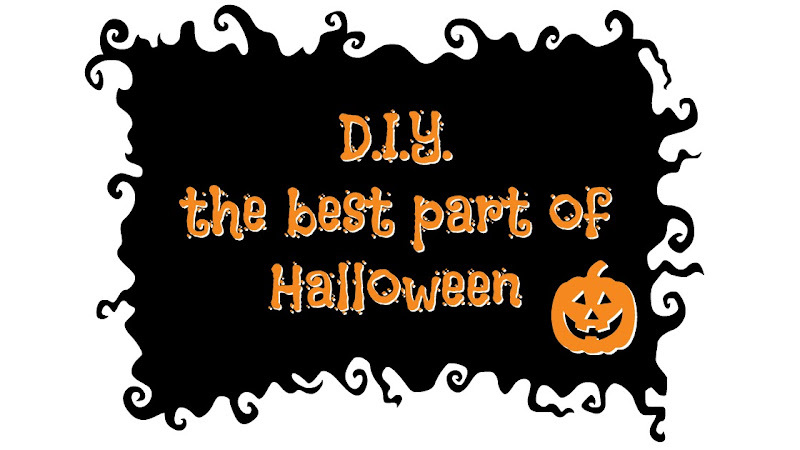 0 comments on "DIY - The Best Part of Halloween...Costumes"